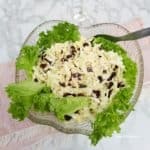 Apple Cabbage and Cottage Cheese Salad is a must have salad recipe, especially when you are trying to lose weight ! 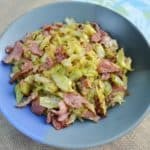 It is my favorite low-fat, low carb salad and kids love it too. Delicious ! 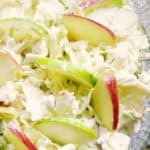 This Apple Cabbage and Cottage Cheese Salad is great for dieters or if you want a super healthy salad.